And here we see the Wuffy in his natural habitat: a filthy, abandoned building. Like BALL!, this was a request. 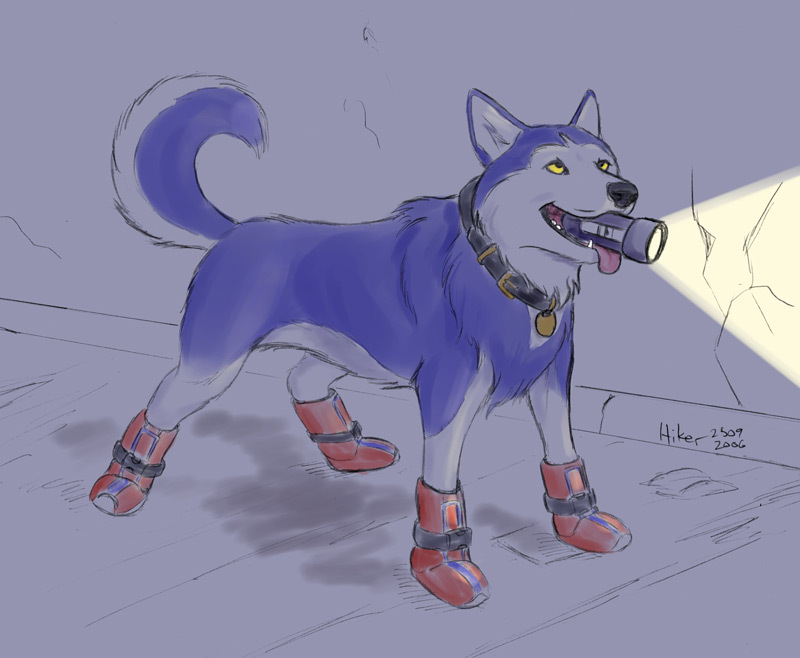 He wanted to see his husky form with a flashlight and little doggie boots. I hope he likes it. Open Canvas is amazing for quick color sketches, like this, but I'd like to do a more finished version at some point. This entry has been viewed by 686 people before you. This is your first time.